Fraser Island WHA Indigenous Advisory Committee FINALIST in National Landcare Awards! 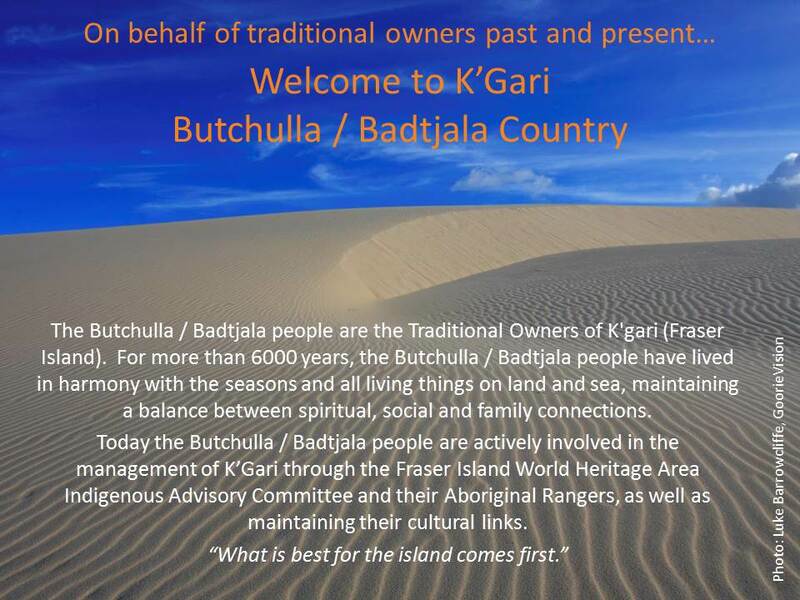 The Recognising & Recording K’Gari’s (Fraser Island) Cultural Heritage project was initiated by the Fraser Island World Heritage Area Indigenous Advisory Committee in 2012 and was delivered by the Butchulla people and Aboriginal Rangers of Fraser Island. Through strong partnerships, the project provided training to the Butchulla community, leading to additional cultural heritage sites being located including the highly significant Bogimbah Mission grave sites on this World Heritage listed property. The project has established closer ties between the Aboriginal Ranger team and Butchulla elders and broader engagement and stewardship by the Butchulla community with forums, field trips and newsletters. Judging is currently underway with the announcements to be made at the National Landcare Conference and Gala Awards being held in Melbourne in September. You can also vote for the Indigenous Advisory Committee in the People’s Choice Awards, just click on the icon. Note: Although you are able to vote in every category, you don’t have to, so just look for the group in the Indigenous Land Corporation Indigenous Landcare Category. 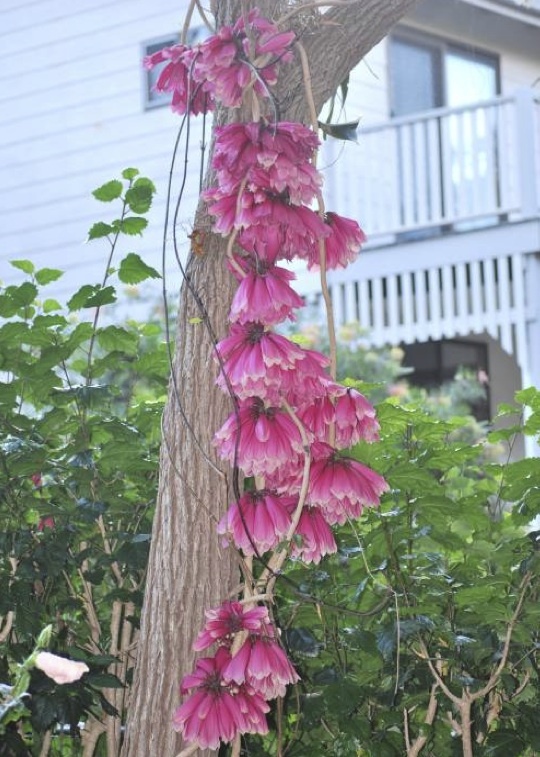 FINIA’s last newsletter featured a terrific article by David Anderson on the colourful and rare local native vine species, Fraser Island Creeper or Tecomanthe hillii. In this issue I will explore more of the Island’s ‘must have’ native vine species for local gardening, landscaping and bush regeneration projects.